A spokesman for the LA County coroner's office, Fred Corral, confirmed Thursday to CNN television that Jackson was brought into the UCLA Medical Center earlier in the day in full cardiac arrest and was later pronounced dead. He said an autopsy is planned, probably for Friday, to help determine what health conditions might have led to Jackson's death. The Los Angeles Times reports the L.A. Police Department has opened an investigation into the pop star's death, although it quotes sources saying there is no evidence of criminal wrongdoing. Television coverage showed crowds of emotional fans, as well as news crews, swarming around the exterior of the medical center and spilling into the street. Los Angeles fire officials said Jackson was rushed to UCLA Medical Center Thursday after emergency officials found him not breathing at his home. He was given CPR, cardiopulmonary resuscitation, at the scene before being taken to the hospital. 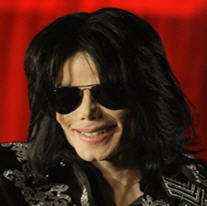 The 50-year-old singer, dancer and songwriter became famous as a child in the 1970s while performing with his brothers in a pop group known as The Jackson Five. He went on to a solo career that spawned dozens of hits and pioneered the music video genre. Jackson was dogged by controversy in his later years. He was acquitted in a child-molestation trial in 2005 and later struggled with financial problems. He was scheduled to begin a series of comeback concerts in London later this year; tickets for the shows, offered in March, sold out in minutes.